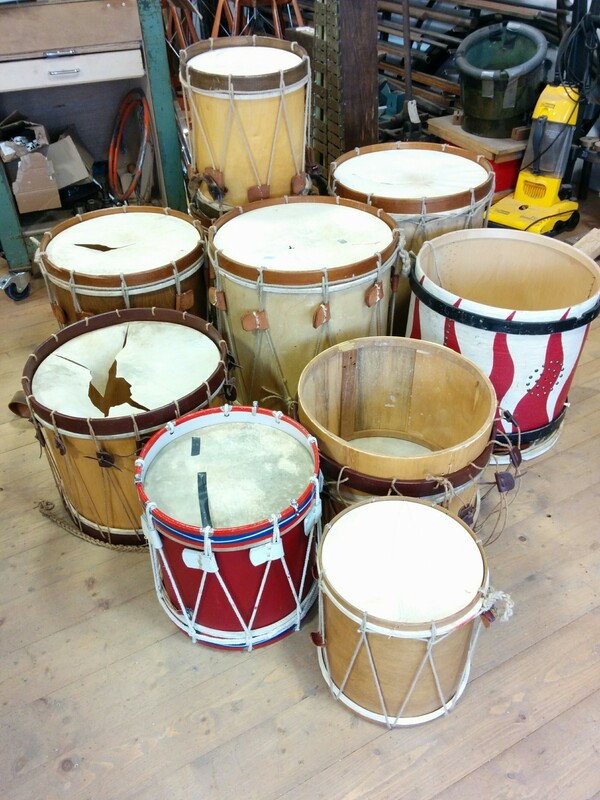 I have a big pile of tenor drums, snare drums and field drums to repair. All have calf skin heads, and are rope tensioned. Just like doing the job, it is difficult to decide where to start. All of the drums have something broken, missing or worn out, so whilst waiting for materials to arrive, I just started doing what I could. There are two drums like the one above which I am changing. The maker has used the wrong type of rope. 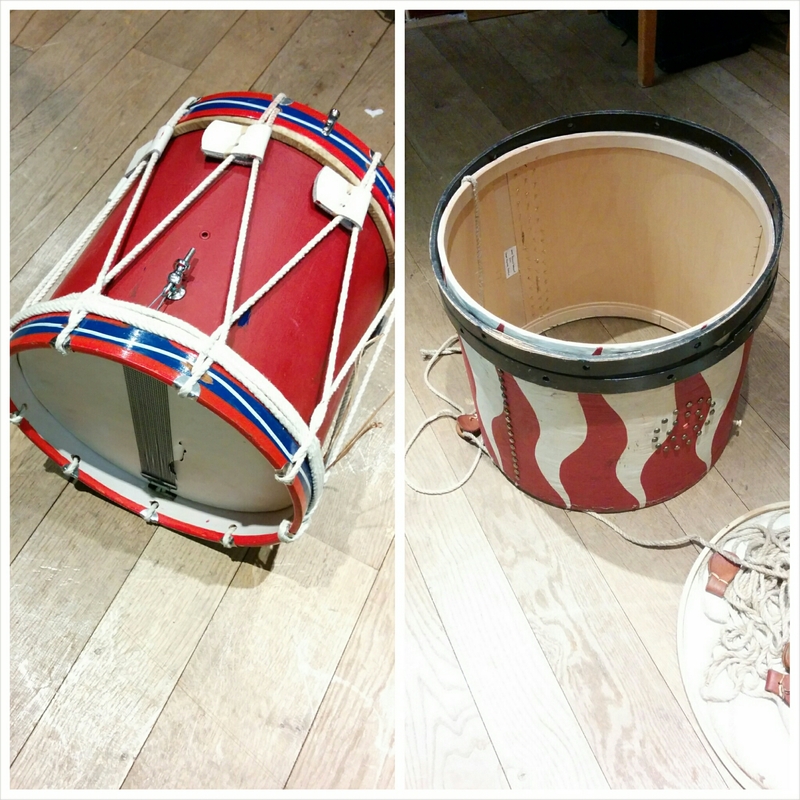 These drums are often to be used on stage as a period prop, the rope used is a 16 strand weave which is modern. I’m not sure what the material is, (I know what it isn’t) but it is thin, course and aggressive (just like me!) 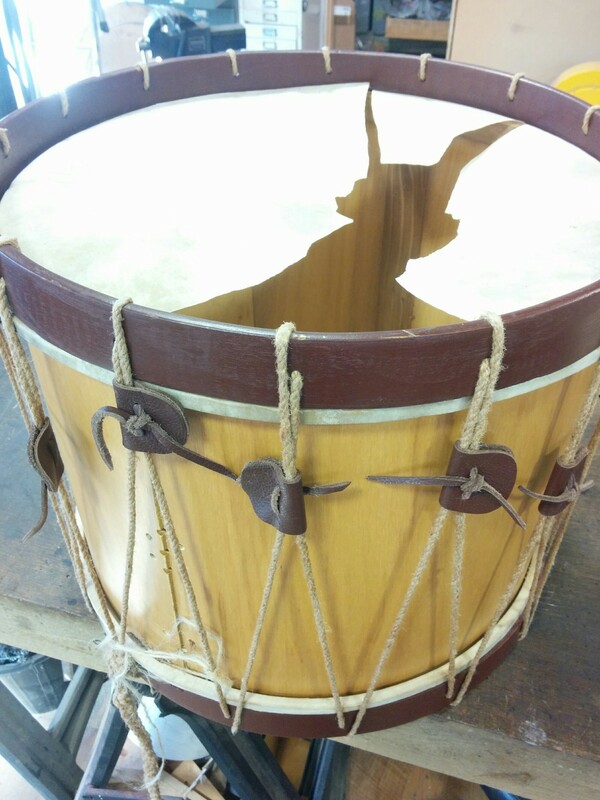 So I can modify the counter hoops to accept the same diametre rope as all the other drums. There are two drums that require some sort of aesthetic treatment. 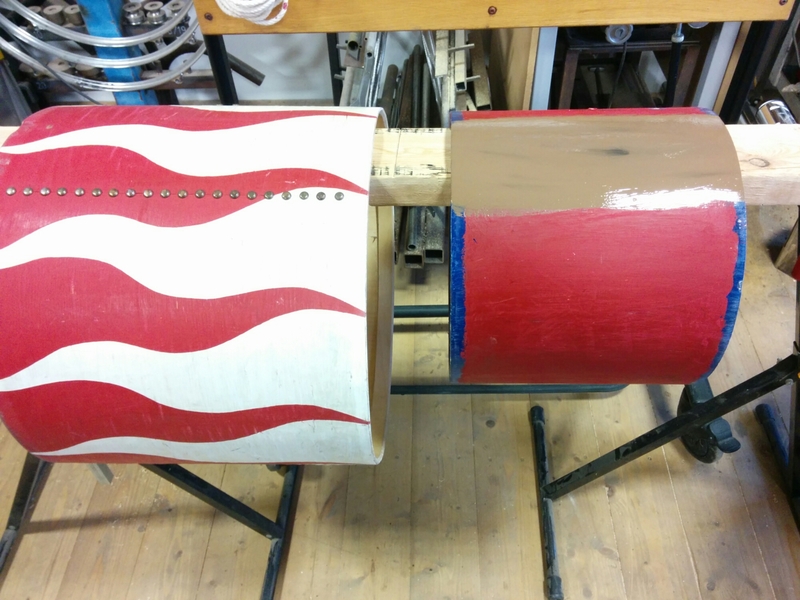 The drum on the left has just been really badly painted, the drum on the right, well it’s just hideous! 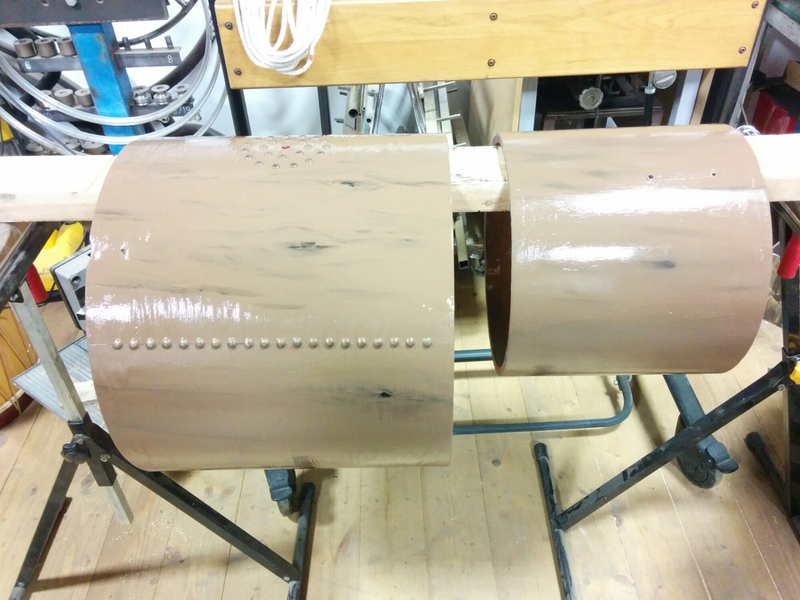 Both need to painted so they look more natural – brown then. According to the man at the Dulux shop (I only use Dulux oil paints) who has worked there for 22 years, he has never mixed up brown paint. I’m not surprised, the previous owner of my house liked brown – I have it on all the skirting boards and doors, and yes it does look horrible. Because of this, there are only three shades to choose from, so I went with hazelnut which was actually the only one close. To break up the brown and make it look a bit more natural, I used black to replicate knots and grain. For now, the paint has to dry, and rope has to arrive, so in 1249: Ropey Drums (pt2) we will see a lot more knots.